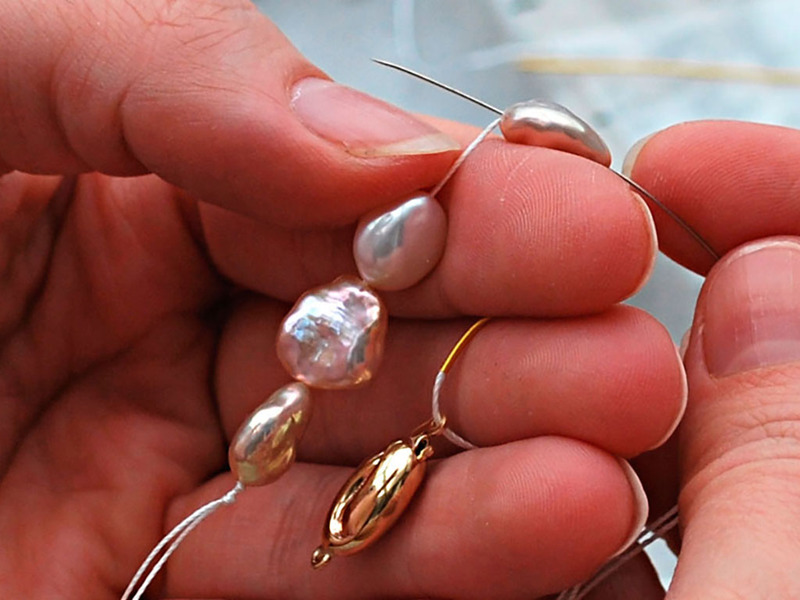 We support our customers by providing a professional pearl restringing, matching and repairs service in our workshops. A Restring Price List is available for the trade upon request. Our services are only available to the jewellery trade, if you are a private customer please contact us to find a Raw Pearls stockist. Read here how to look after your pearl stock in store, and what to advise your customers as part of your after-sales care.